This series is full of exciting characters and stories. What unites them is their passion for motorsport and their slogan: Full throttle! A new documentary series makes the BOSS GP a television event. 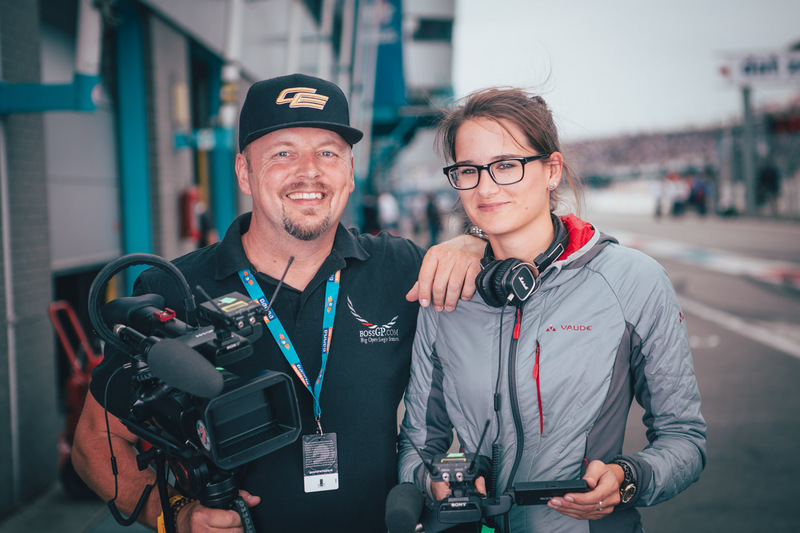 In the leading roles of the new docutainment series are top star Ingo Gerstl, team boss Markus Lehmann and the fastest couple in the world: Wolfgang Jaksch and Veronika Cicha. Ex-racing driver Sebastian Stahl reveals interesting facts about the technique behind, explained in an understandable language for non-experts and nevertheless a rare insight for freaks. The new series tells the stories of success and suffering of the protagonists on and off the race track in seven episodes with up to four repetitions per day on the television station auto, motor und sport TV – available throughout Europe as Pay TV via cable or IPTV. From October, the episodes will also be available on Amazon Prime.